With the dramatic growth of urban populations, culture and local values are key to shaping modern cities. There’s a growing movement to restore the vibrancy and enhance the experience of city life for people. This vision for the city of the future is a place that values walkability and a mix of uses. It’s a place that is scaled to people, providing safe pedestrian environments and open space for public life. Most importantly, it’s a place that is grounded in the unique culture and values of its people while embracing modern technology and the global community. This idea for the city of the future draws on city-building precedents from the past, yet it adds modern approaches to transportation and environmentally sensitive building systems. This is the idea behind Msheireb Downtown Doha. Along with our partner, Turner International Middle East, we celebrate the extraordinary work of the many architects and consultants who have collaborated to realize this world-class project. Download Designing the Cities of the Future or browse its contents in the article below to learn more. The city of the future values people and their everyday experience. By following key principles that put people at the center, architects and planners can set the stage for healthy, vibrant communities that are lasting and adaptable over time. It’s not a one-size-fits-all solution, but rather a recognition that successful cities are unique reflections of their climate, culture, economy, and history. These principles are relevant anywhere in the world—such as Doha, Qatar, where they have been applied at an unprecedented scale. Creating a sense of place is about building communities by designing a public realm where people encounter each other and share the joys of daily life. Placemaking is about the textures, materials, and patterns that have evolved over time and make a place unique. It’s where context and culture become tangible, nourishing the senses. Downtown Doha is truly an experiential environment inviting people to engage in community, culture, and street life in new ways. Successful cities are walkable. They provide neighborhoods where people can live, work, shop, and learn without having to rely on cars. In new urban districts where it’s possible to place parking and service delivery belowground or carefully hidden from public view, the streets and sidewalks can be returned to people. A network of streets improves the experience, along with vegetation and interesting storefronts. Over centuries, cities were built by artisans and craftsmen who responded to the local climate. Roofs, for example, were made to provide shade in hot climates, and walls were designed to capture prevailing breezes. Combined with building strategies that deliver modern comforts while preserving the planet, these traditional responses still make sense. Downtown Doha is the first sustainable downtown regeneration project, with one of the highest concentrations of LEED-certified buildings in the world. Successful cities are filled with an engaging variety of activities generated organically by a mix of uses. This is how human settlements traditionally grew, and the benefits of mixed-use development are widely accepted again. Mixed-use districts offer greater housing variety and density. They result in more compact development and synergy of uses, reducing the distance between destinations, encouraging people to walk and bike, and spurring activity 24/7. The great urban centers we’ve come to admire are places that naturally blend commerce, culture, and street life. They feel authentic. They are rooted in place, with a subtle blend of forms, materials, and other distinctive attributes that are tied to local traditions. 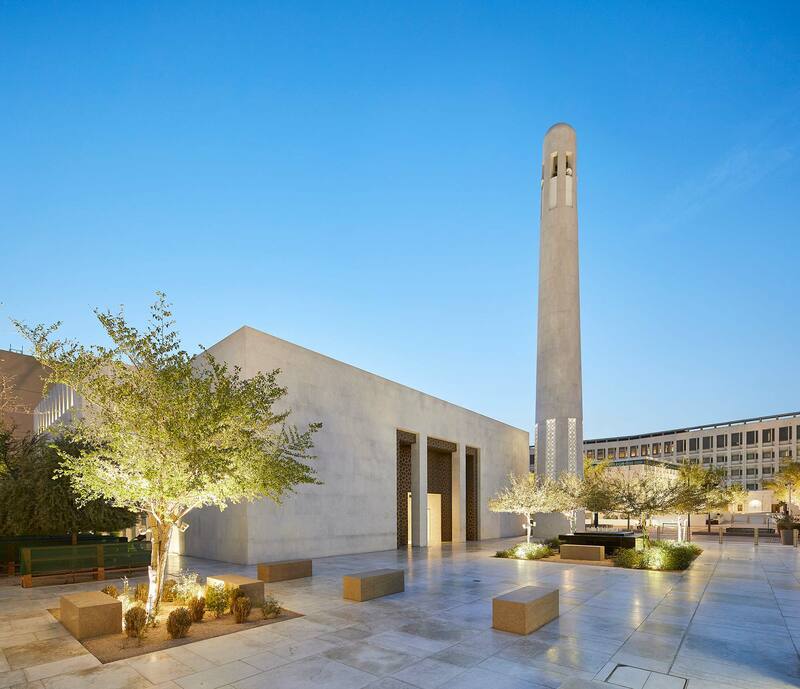 Like Downtown Doha, they have open spaces that are suited to their climate and customs—public places that encourage social interaction and the shared experiences that sustain local culture. Networked transit systems, bicycle paths, and innovations like ride-sharing and autonomous vehicles provide the ease and choice of movement that make cities flow and connect. Urban-scale solutions for moving people from place to place keep pace with rapid growth, reduce dependence on natural resources like gasoline, and make more efficient use of utilities and infrastructure. 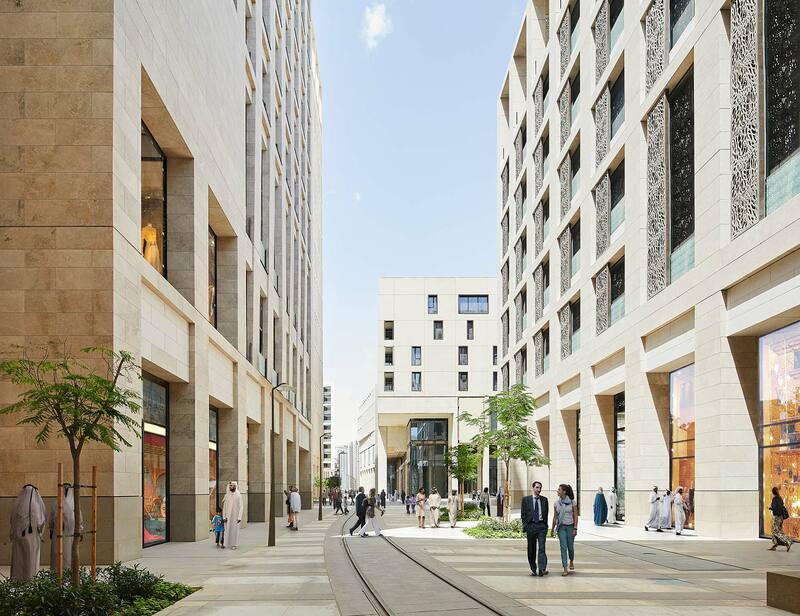 In Doha, the time-honored principles of city building have been put into practice in a landmark 31-hectare (77-acre) mixed-use project in the heart of the old city. 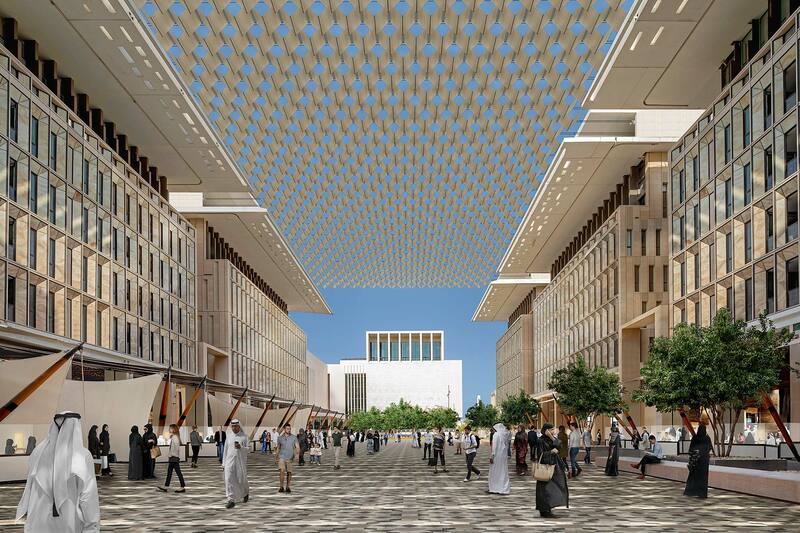 Reflecting the ambitions of the Qatar National Vision 2030 and the bold mandate of Her Highness Sheikha Moza bint Nasser, the Msheireb Downtown Doha development is charting a new course for smart city building in the Gulf region and beyond. The development seeks to preserve cultural and architectural heritage, while looking to the future with modern transportation, below-grade parking, and state-of-the-art building technology. It expresses a new architectural language rooted in the region’s history and married with bold modern approaches to the built environment. 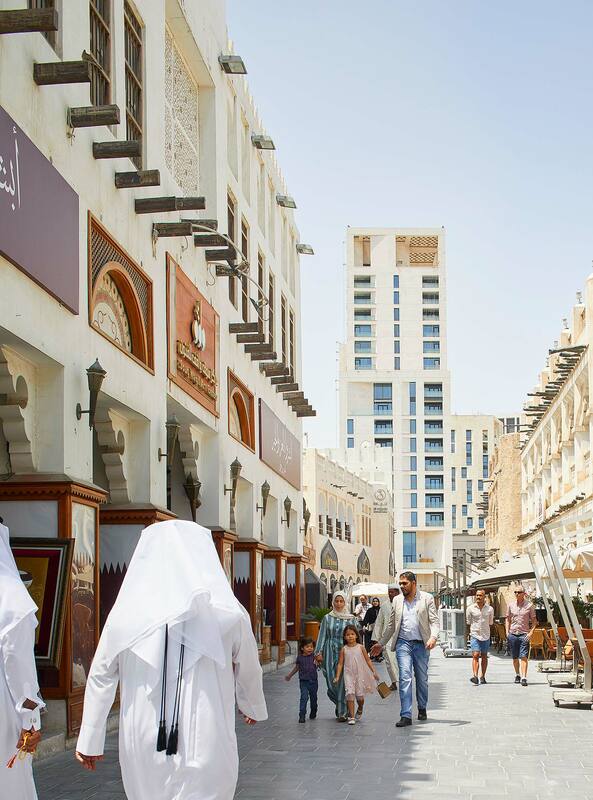 By emphasizing placemaking, the new district revives the soul of the old commercial quarter to become a social and civic destination, one that enhances daily life in Qatar. Cultural traditions will find their place against a backdrop of rapid modernization and a growing desire by people to live in transit-served urban areas with a variety of shops, restaurants, entertainment, and cultural activities. Msheireb Downtown Doha has set the bar high. As the world’s first sustainable downtown regeneration project, its mission is to change how people think about urban living through innovations that encourage social interaction, respect for culture, and environmental stewardship. The district is divided into five sections that weave together hospitality, retail, residential, commercial, and civic buildings. 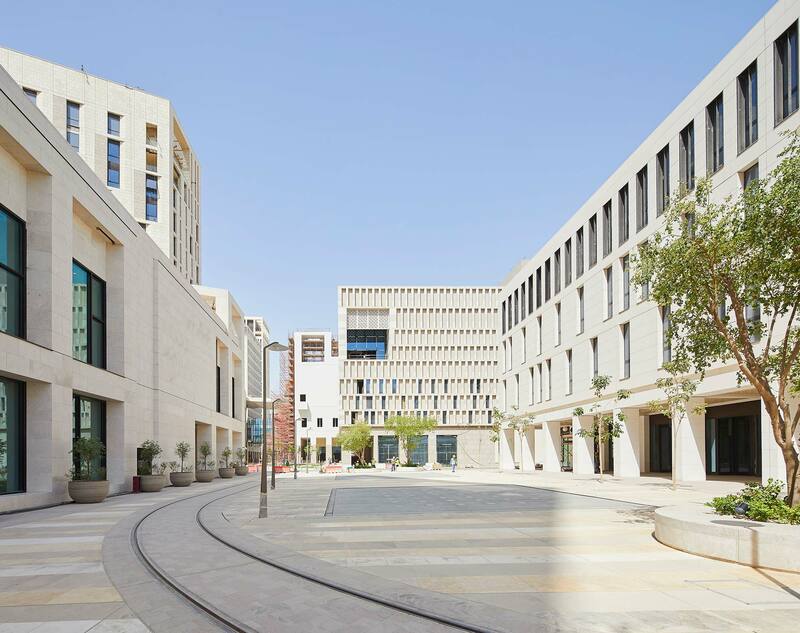 At one corner, the Diwan Amiri Quarter houses Qatar’s seat of government, including the administrative headquarters and Qatar National Archive. 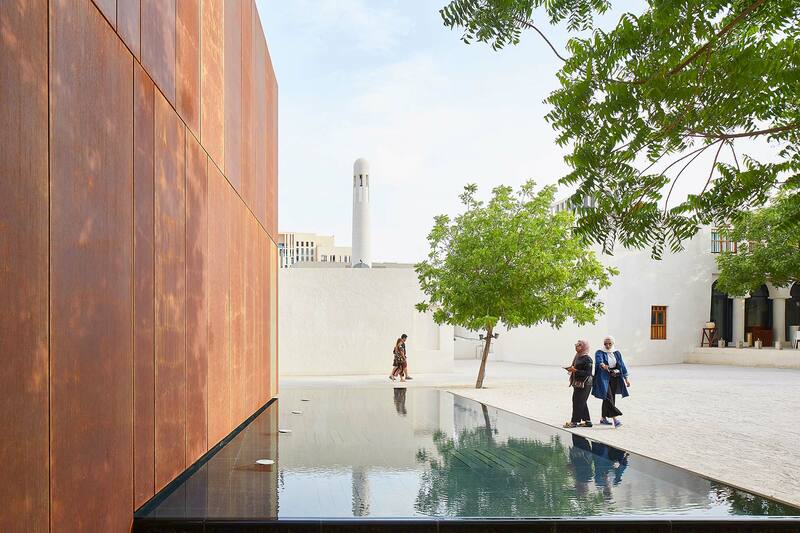 In the Heritage Quarter, four traditional courtyard houses and the Msheireb Prayer Ground have been restored. The other three quarters have a primary focus on retail, mixed-use/residential, or office uses. Arup, AECOM, and Allies and Morrison were master planners for the project. Gensler was integral to the team that designed and built the district, playing a leadership role in two of the six construction phases. For Phase 2, Gensler was the executive architect and one of three design architects, and for Phase 3 served as executive architect, coordinating a multidisciplinary team. Developments such as this are vital to the Gulf region, because they seek to preserve cultural history while fostering national identity. “We saw this project as an opportunity to use design to inspire the nation, while focusing on what the project can give back to the country as an example of authenticity and future potential,” says Gensler Co-CEO Diane Hoskins. The new district will become a social and civic hub, reversing development patterns in Doha that have tended toward isolated land use, reliance on automobiles, and energy-wasting structures. Creating a strong sense of place was vital. 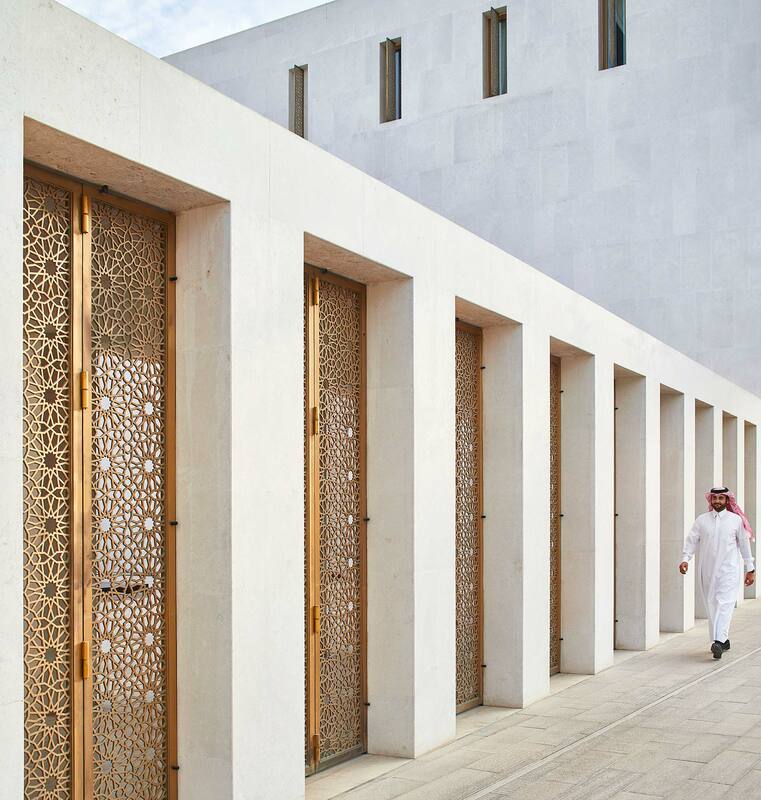 The design of individual buildings and public spaces was inspired by traditional Qatari heritage and architecture—its simplicity, proportions, patterns, ornament, and response to climate. “These references include the use of thick walls, inward-looking courtyards for privacy, and traditional pattern elements for decoration,” says Hoskins. 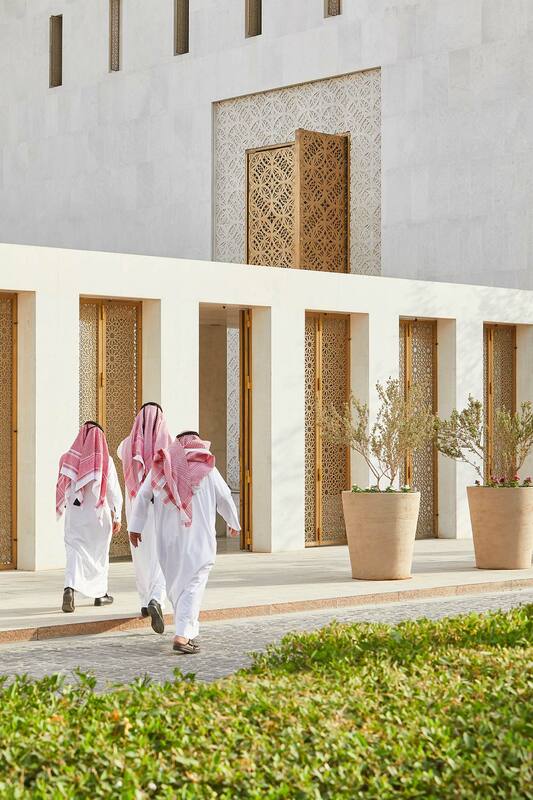 Buildings are clad primarily in regional stone and the predominant earth-tone colors seen in the region, while connected squares, courtyards, and streets promote a sense of community. As a LEED community, Msheireb Downtown Doha promotes a healthy lifestyle through walkable districts served by a tram and underground parking. The substantial below-grade zone for parking and services is a vital component of the district, because it keeps vehicles and deliveries off the streets and makes for a safer pedestrian environment. The internal tram system further discourages the use of cars, while charging stations for electric vehicles are installed throughout the district. 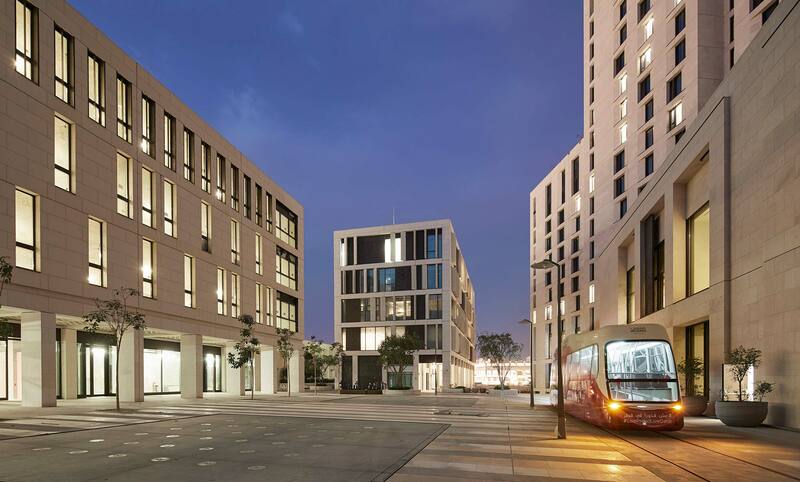 With a commitment to blend into the existing urban fabric, the design maintains the old city’s street grid, adapting to the harsh summer climate with shaded squares, courtyards, and streets that create an authentic neighborhood for residents. These open spaces are oriented toward prevailing winds, allowing cooling breezes to flow through the streets. An enjoyable public realm—consisting of street-level retail, public art, landscaping, and engaging spaces—invites walking and enriches community life. The region’s largest covered public square, Barahat Msheireb, will be active throughout the year with street entertainment and community events. 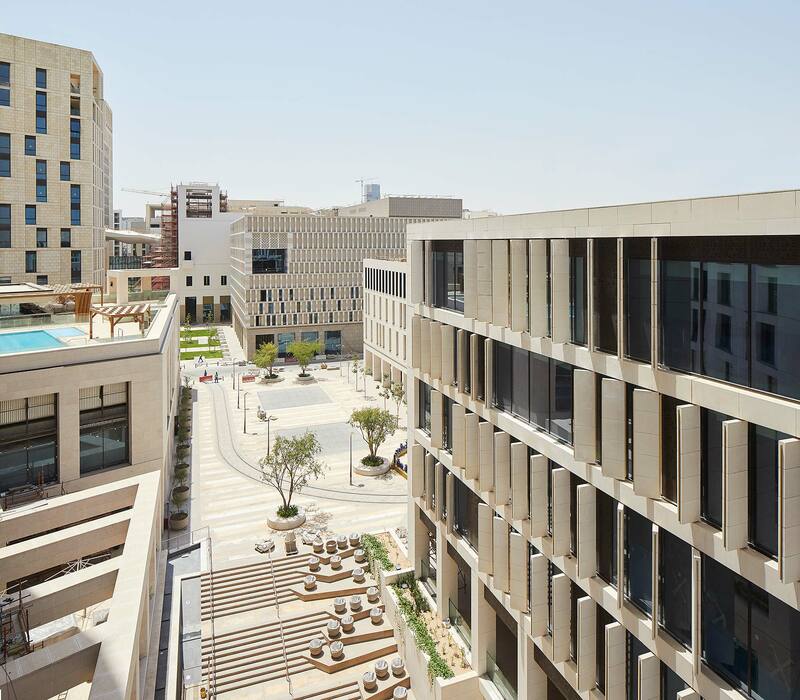 Sustainability is central to Msheireb Downtown Doha and its holistic design principles: the preservation of existing heritage sites; the use of local materials, natural light, and ventilation; and adoption of new green technologies for efficient use of water and electricity. All buildings are designed to achieve LEED Gold or Platinum certification. The use of PV cells for solar power generation and gray water recycling are among efforts to reduce energy consumption by 32 percent. In addition, abundant landscaping on roofs, streets, and internal courtyards will contribute to the project’s ambitious sustainability goals. At the heart of the district is Barahat Msheireb, the region’s largest covered public square. The mixed-use buildings that adjoin the plaza are by Mossessian Architecture. In the background is the Cultural Forum, designed by John McAslan + Partners. Catering to residents and visitors alike, Msheireb Downtown Doha features a full range of shopping, leisure, and entertainment choices. The centerpiece of the retail offerings is The Galleria, a Gensler- designed retail center that includes 48,000 square meters (517,000 square feet) of leasable space in an air-conditioned shopping mall. The center is comprised of nearly 100 stores spread across four levels. Like other parts of the development, The Galleria’s design blends contemporary and traditional forms, evoking images of the region’s souqs. It features a supermarket, cinemas, and a dedicated entertainment zone where children of all ages can play in a safe and friendly environment. Pictured in this rendering, The Galleria is the urban district’s shopping and entertainment hub. Buildings shown designed by Gensler and Squire and Partners. Outside The Galleria, the neighborhood will include many other retail offerings tailored to support the local community, as well as attract tourists and visitors. The main pedestrian street, Sikkat Al Wadi, runs the entire length of downtown, with shopping options that include flagship stores, fashion boutiques, restaurants, and cafés. The mix of stores will integrate well-known international brands with smaller local brands or boutiques—a blend of casual and high street shopping—creating the atmosphere of an authentic town center while retaining the uniqueness of Qatari traditions and heritage. 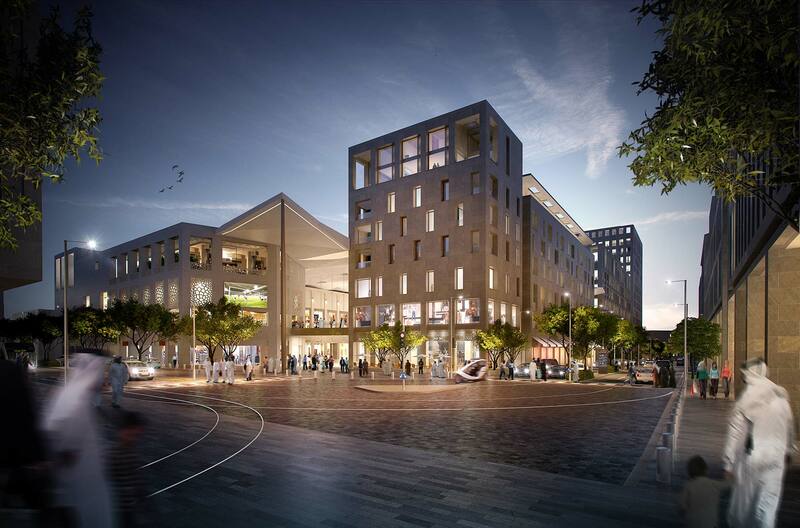 Visitors to the district will have four hotel options, including the Al Wadi Hotel. 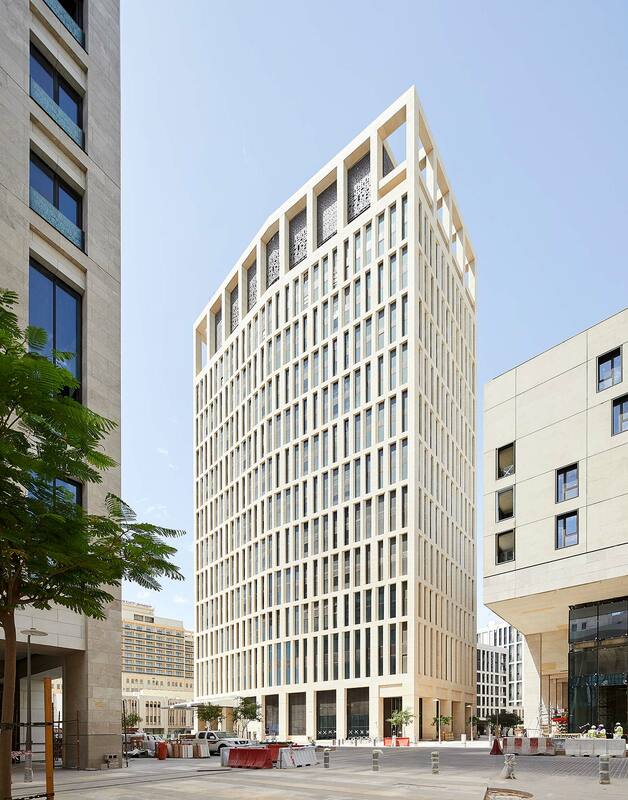 The four-star, 213-key property rises 23 floors—aligning with Msheireb Properties’ vision to combine insights from the past with present-day thinking to create a new Qatari architectural language. Gensler, working collaboratively with design architects Squire and Partners, achieved the goal by expressing traditional references in a contemporary style. 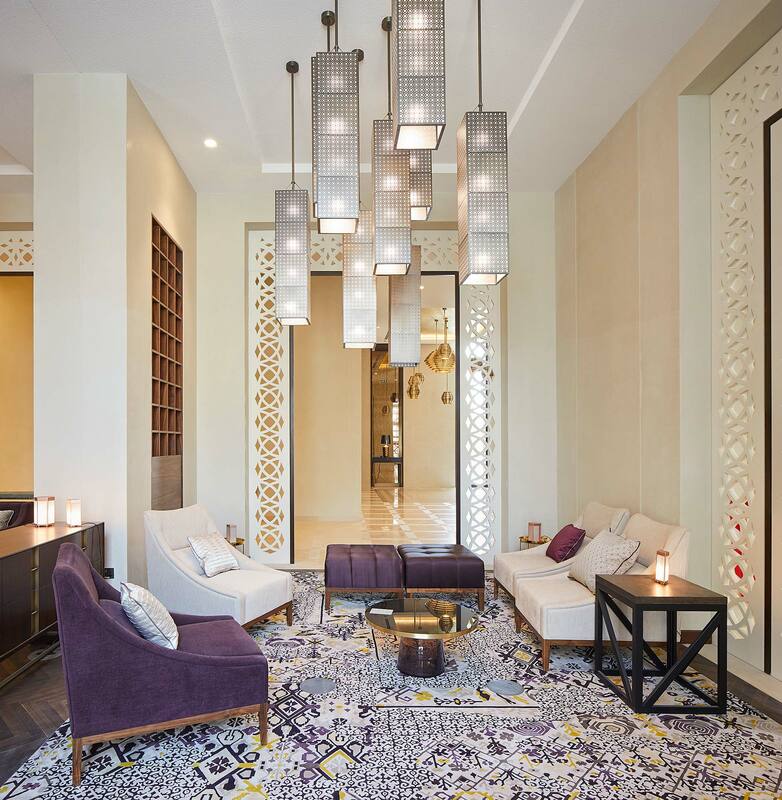 Islamic geometric patterns feature in fixtures and fittings such as door frames, lighting, and partitions in spaces that are designed to support the digital technology needs of guests. Regional landscapes and architecture inspired the design, interpreted in elegant lines that play off the contrast of light and shadow. The double-height reception hall takes its design cues from traditional courtyards, blending time-tested and modern materials under the warm glow of cove lighting. Outside, shaded terraces offer views from hotel suites across the city’s historic Souq Waqif district, the location of the city’s central marketplace for centuries. 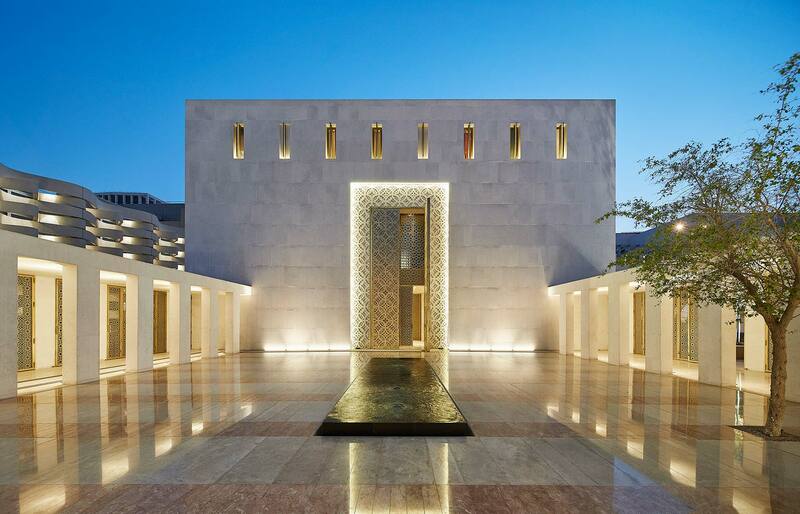 Gensler led the team in the design of the 189-room Park Hyatt– Doha hotel, a distinctive five-star property located in the vicinity of the business district. 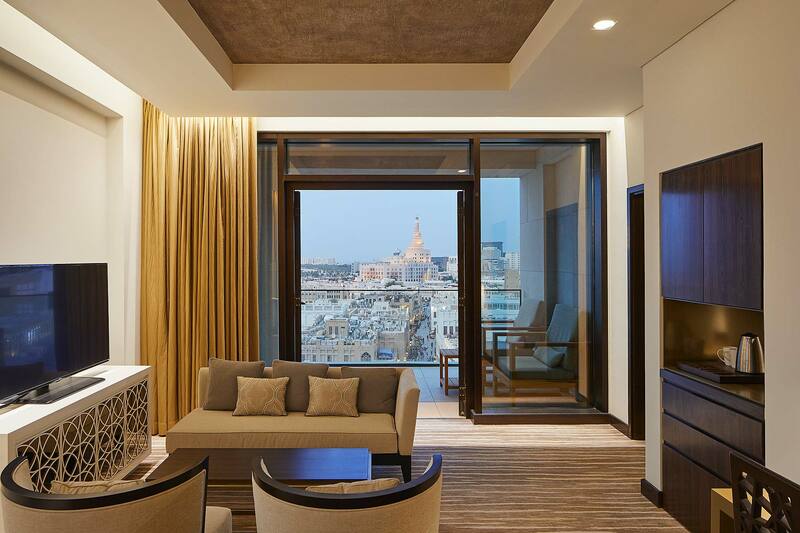 A towering landmark on the skyline, the hotel offers an exceptional level of service in a setting that has been raised to an unrivaled level of elegance. Guests are welcomed through the porte cochere into a dramatic skylit five-story-high atrium. 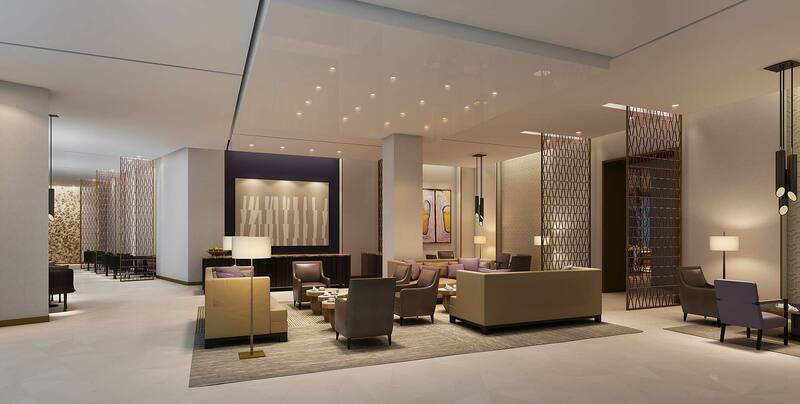 There, dappled light dances across bridges that connect the hotel’s amenity podium with the 21-story guestroom tower. The property includes recreation and leisure facilities, such as a spa, salon, pool, and gym, and more than 2,000 square meters (22,000 square feet) of ballroom, events, and meeting spaces for social and corporate gatherings. 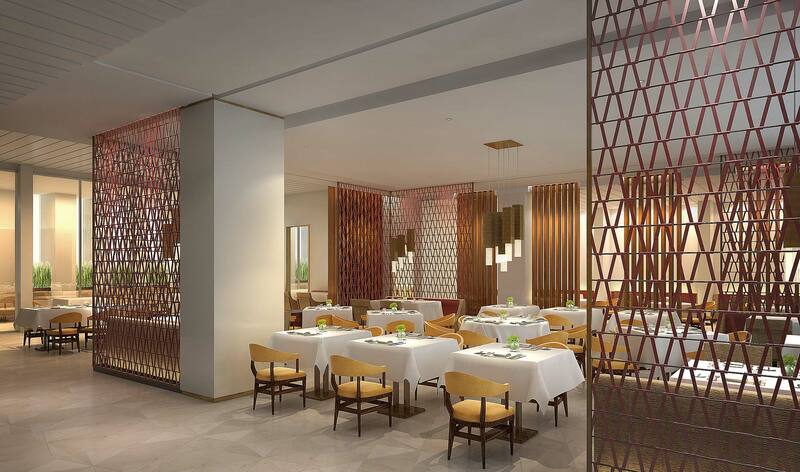 Food and beverage outlets include two signature restaurants and a terrace lounge that will serve as a destination in the city. 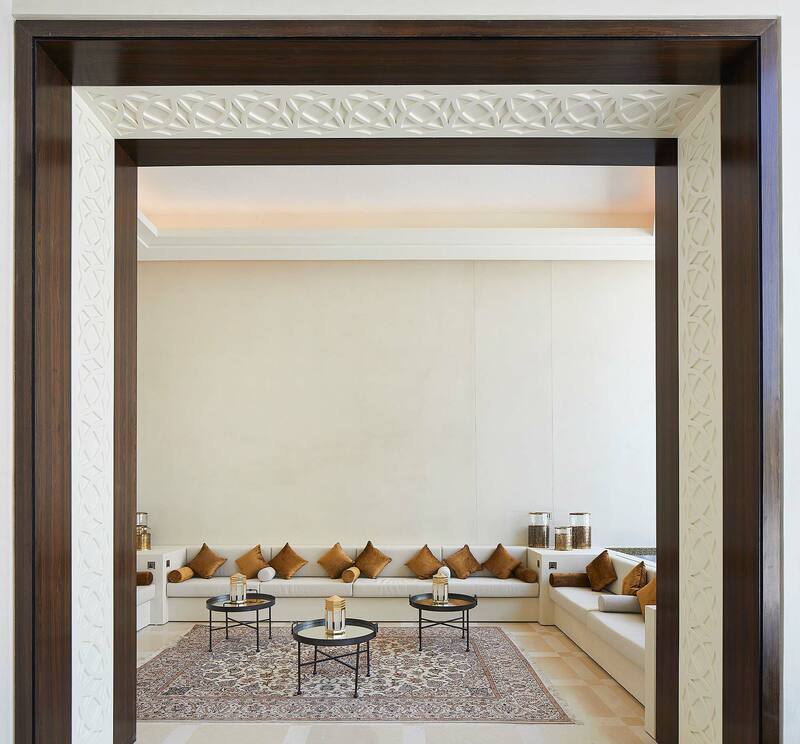 The hotel employs design motifs that combine the forms of the overall development with the high standards of Park Hyatt, including elegantly detailed majlis-style spaces that create a luxurious environment. An Arabic term meaning “a place of sitting,” majlis spaces allow for private discussions in public places. The design responds to the regional climate by integrating delightful plays of sunlight through ornamental screens on the perimeter and roof. In addition, to meet the expectations of regional guests, hotel amenities include men’s and women’s prayer rooms and a women’s tea lounge. 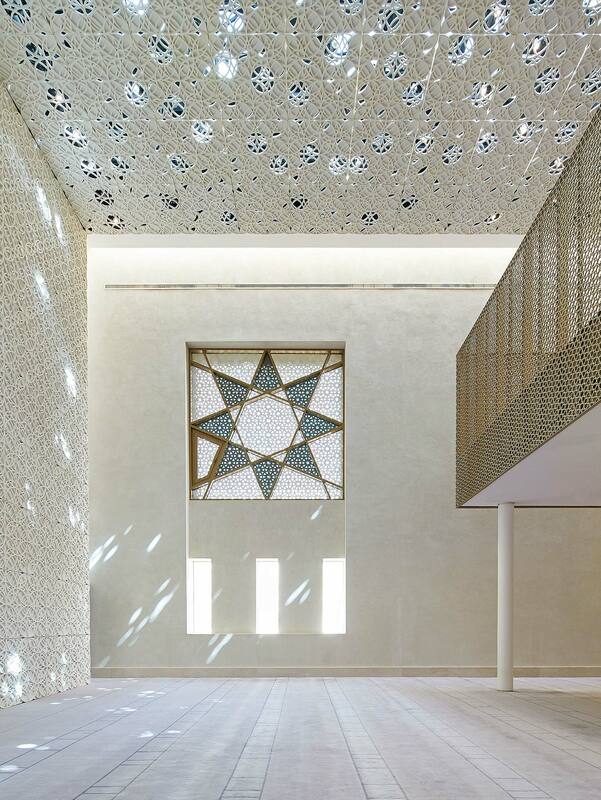 The Msheireb Mosque—which uses local stone, craft techniques, and interpretive details—evolved from traditional Qatari mosques. The project’s design architect is John McAslan + Partners. 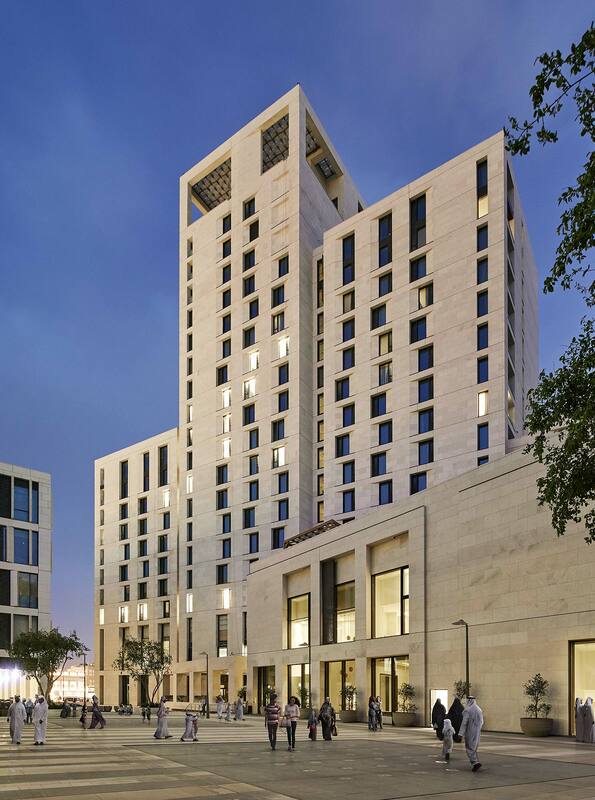 Through its commitment to placemaking, Msheireb Downtown Doha provides an answer to people’s quest for livable communities that are both authentic and modern. The philosophy underpinning its creation combines the aim to preserve the country’s rich cultural history with the higher purpose of fostering national identity and a future focus. 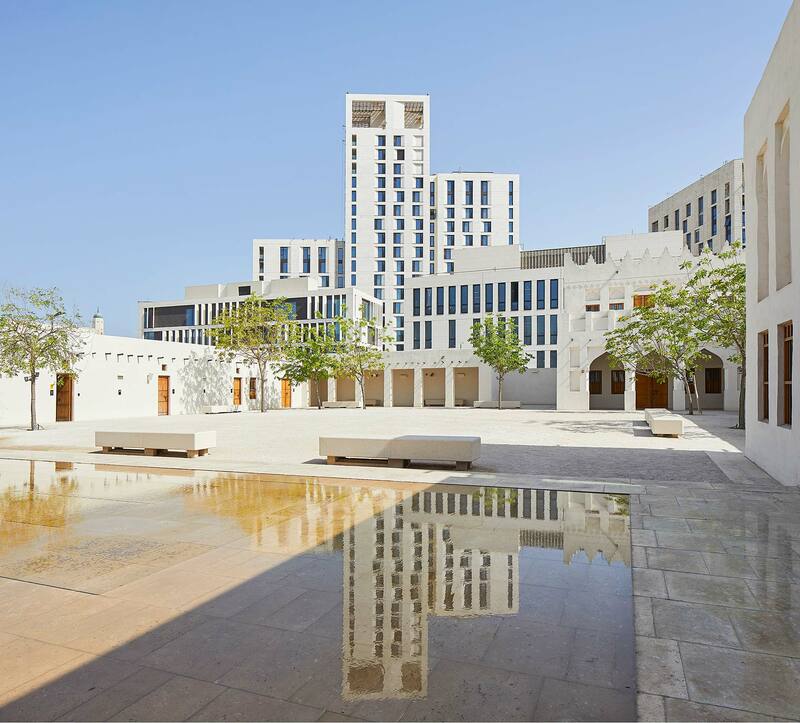 By reversing legacy patterns of development that have tended toward isolated land use, reliance on cars, and energy-hungry structures, Msheireb Downtown Doha sets a clear path toward the long-term health and prosperity of the Qatari people. And its adherence to planning principles that promote walkability and a “people first” approach establish it as a model for how to build cities of the future. In 2008, Msheireb Properties launched an international competition to select a roster of architects and planners to design a massive, one-of-a-kind urban landscape. The challenge was to find those who could interpret, in modern terms, a vernacular that would bridge the gap between Doha’s past and future. The ultimate winners were selected from a shortlist of 10 firms out of 94 by an eminent jury of academics and architects. 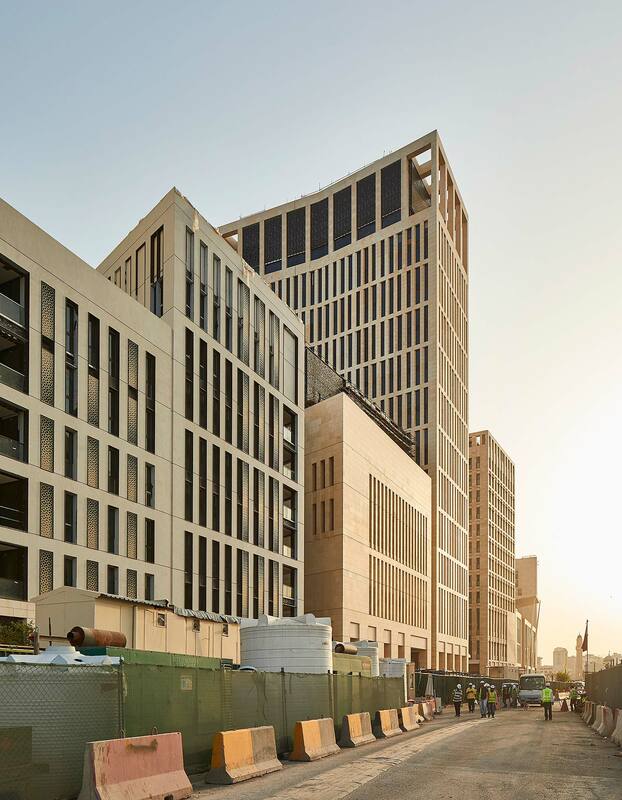 As executive architect for Phase 2 and Phase 3 of the Msheireb Downtown Doha development, and design architect for key components of Phase 2, Gensler scaled up the size of the team to meet the demands of this globally significant project. Tapping the expertise and resources of our global ecosystem, we orchestrated contributions from nine Gensler offices on three continents. 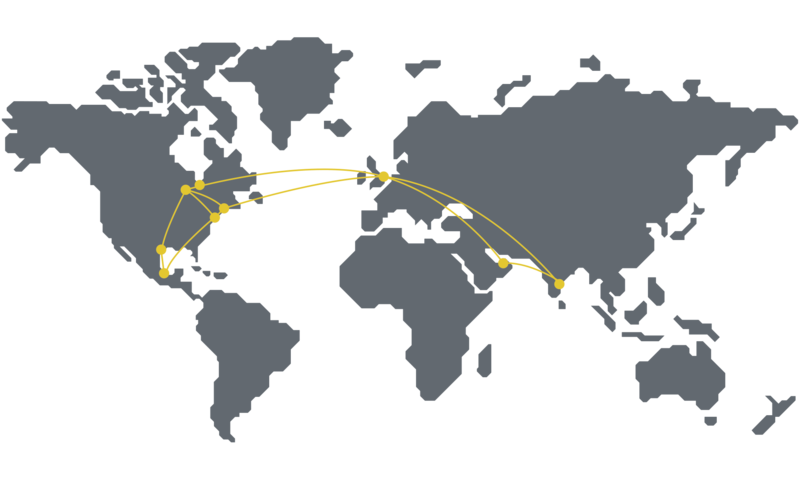 Key offices were tapped for their specific expertise, including London, New York, Chicago, Bangalore, and Washington, DC. Construction oversight was provided by our Doha office with support from other regional offices. Ultimately, 575 Gensler staff members joined the effort during 10 years of planning, design, approvals, and construction. Gensler’s role in Phase 2 included comprehensive oversight of 12 buildings totaling nearly 145,000 square meters of space. Included in this phase were retail, offices, a hotel, and both low-rise and high-rise residential. In our executive architect role, we managed the project team from the pre-concept stage through construction documentation, on-site observation, and supervision. In addition, Gensler acted as design architect for five levels of below-grade parking and infrastructure, a residential tower consisting of 59 apartments, and all the retail elements, including the 200-meter-long Galleria retail center and department store. 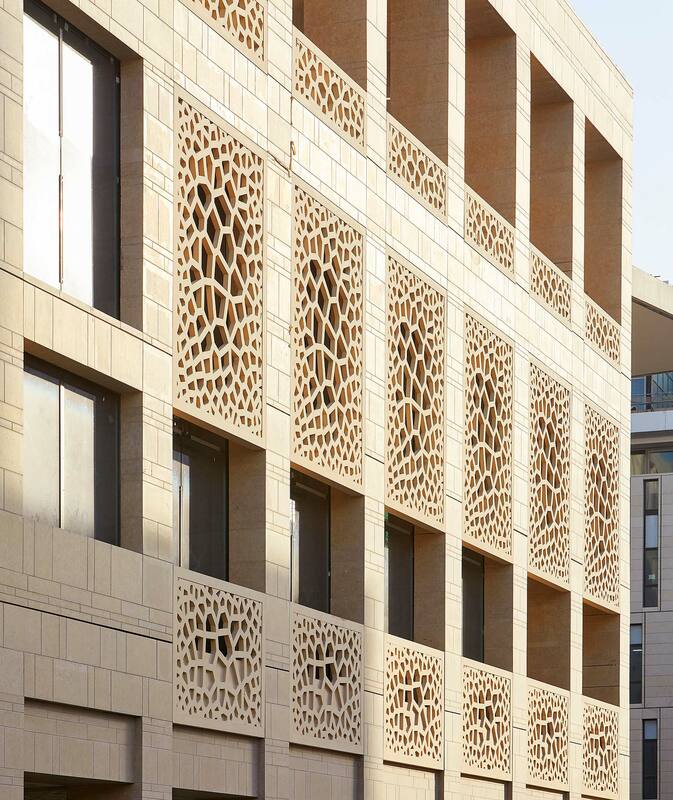 For Phase 3, Gensler was executive architect for 15 additional buildings and basements, including high-end retail, low- and high-rise residential, a hotel, mosque, and offices. To execute this groundbreaking endeavor, we relied on our ability to assemble a multidisciplinary team of experts from our global network. Gensler launched the effort from London. Our Middle East team, which has a deep knowledge of local customs and building practices, had feet on the ground through review, permitting, and construction. Their collective achievement led to many impressive milestones. Woven into the existing urban fabric, the 31-hectare (77-acre) site is organized into five sections comprised of offices, a precinct of government buildings, high-end residential units, green spaces, an international academy, community mosques, contemporary retail spaces, cultural sites, cafés, and world-class dining and hospitality. Gensler’s work on the project helped add 296,000 square meters (3.2 million square feet) of new space to Doha, which has rapidly transformed from a small metropolis in recent decades. The layers of parking, service access, and loading docks beneath the district add to that figure. The entire development totals 764,000 square meters (8.2 million square feet). In collaboration with six design architects and two engineering firms, Gensler is primarily responsible for 27 buildings in the district. That includes 10 apartment buildings, five office buildings, two hotels, a mosque, a retail galleria, and parking for 5,000 cars. What did that effort involve? More than 14,000 drawings were produced, along with 27,000 pages of specifications, schedules, and reports. To date, Gensler has dedicated 569,380 hours to the project. Our team has attended more than 3,500 meetings; responded to 8,000+ requests for information; and exchanged 1.2 million emails. People can walk the site from end to end in 20 minutes or hop on the tram. A 10-year endeavor, a project of this scope involves long-standing relationships built through hours of collaborative problem solving. During that time, the design team developed a holistic understanding of every detail, from the smallest doorknob to the type of concrete best suited to local conditions. 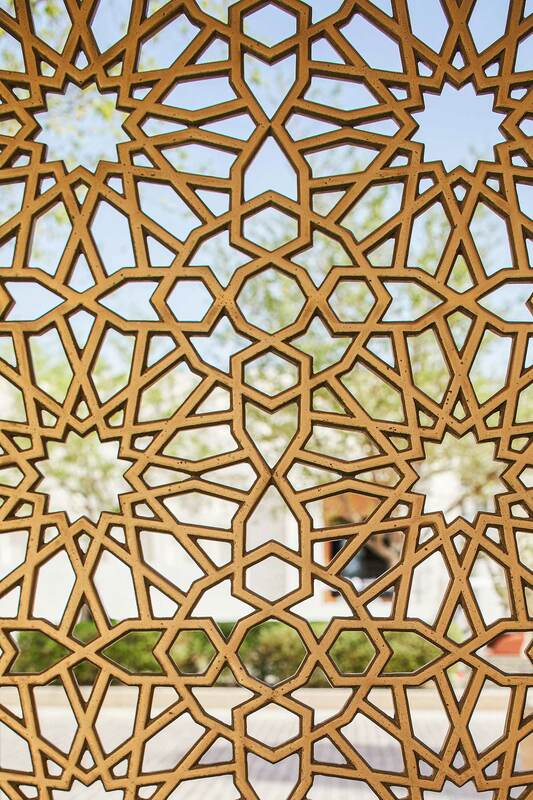 This decorative screen is found in the forecourt of the Msheireb Mosque, designed by John McAslan + Partners. All photos are credited to Hufton + Crow unless otherwise noted. Retail, commercial office space, hotels, residential, mosque, public realm, basement-level parking and infrastructure. Gensler is a leading architecture, design, planning, and consulting firm with offices in the Americas, Asia, Australia, Europe, and the Middle East. 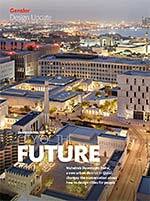 Gensler Design Update is a publication announcing new projects of interest.